6 in stock Free Shipping! 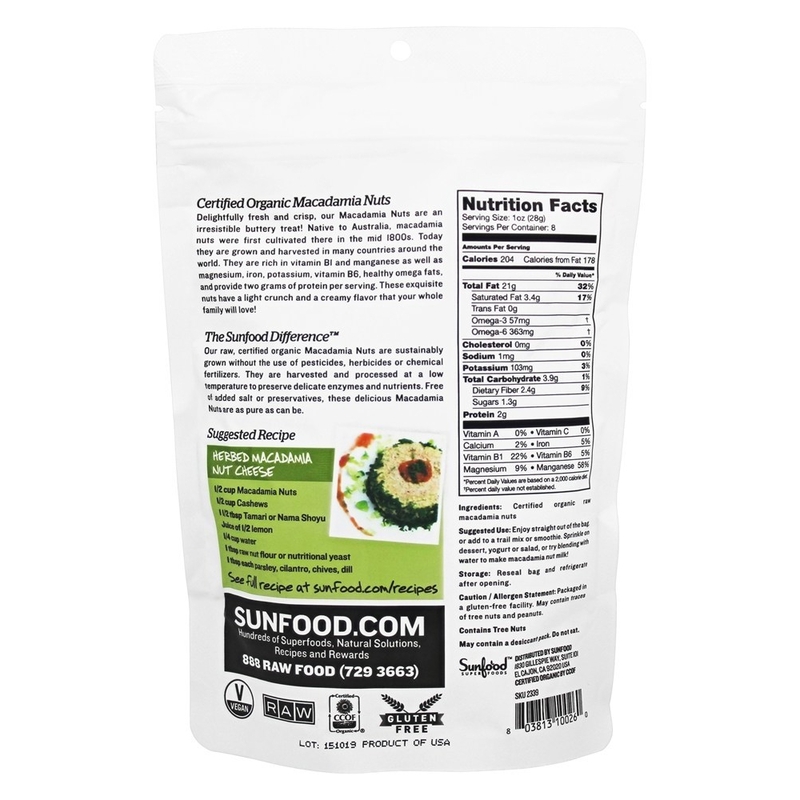 Sunfood Superfoods Raw Organic Macadamia Nuts are sustainably grown without the use of pesticides, herbicides or chemical fertilizers. They are harvested and processed at a low temperature to preserve delicate enzymes and nutrients. Free of added salt or preservatives, these delicious macadamia nuts are as pure as can be. 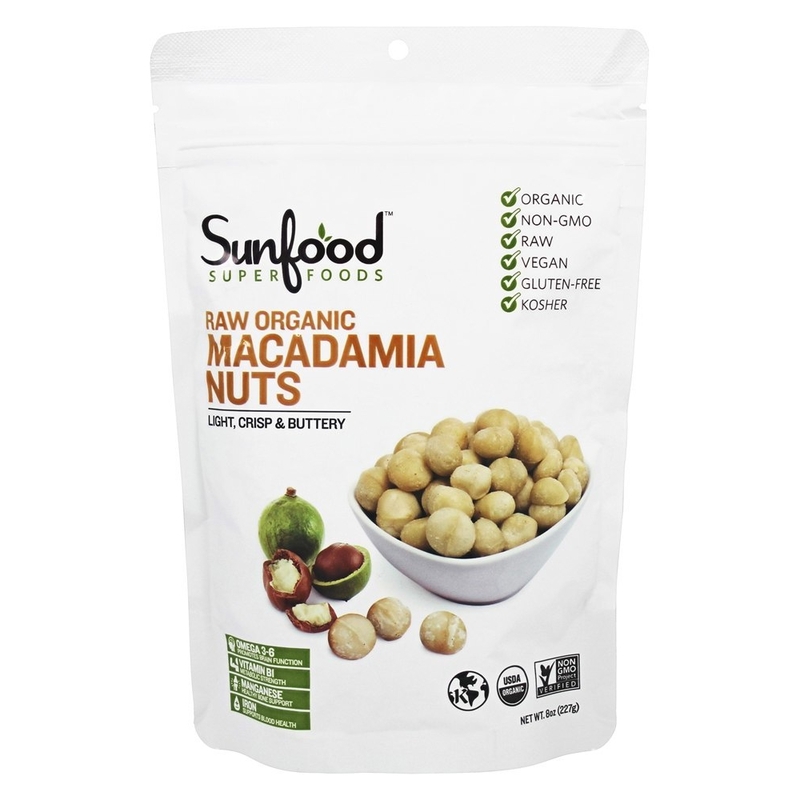 Delightfully fresh and crisp, Sunfood Superfoods Raw Organic Macadamia Nuts are an irresistible buttery treat. Native to Australia, macadamia nuts were first cultivated there in the mid 1800s. Today they are grown and harvested in many countries around the world. 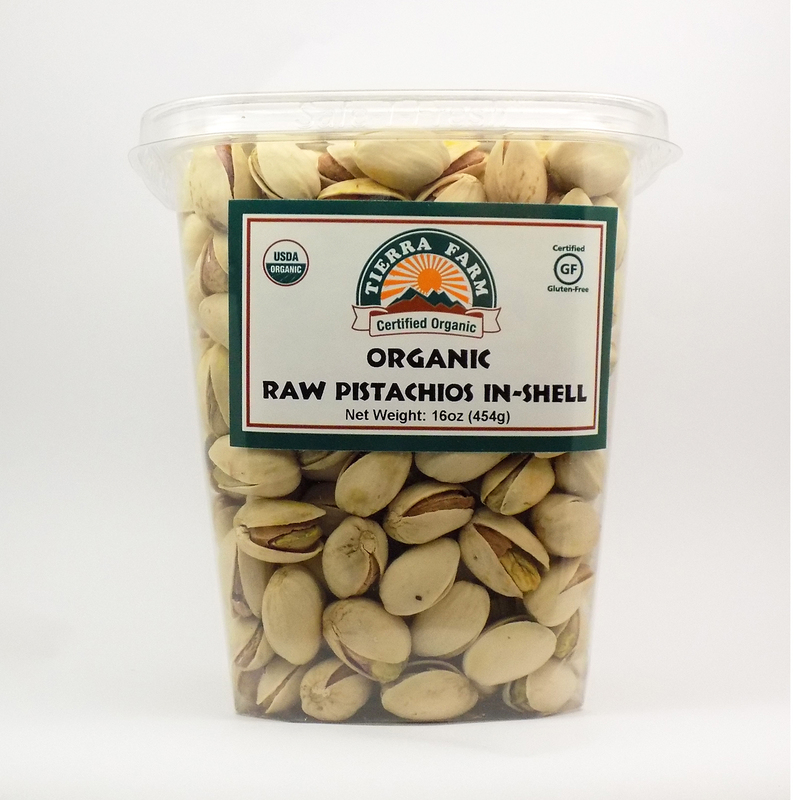 They are rich in vitamin B1 and manganese as well as magnesium, iron, potassium, vitamin B6, healthy omega fats and provide two grams of protein per serving. 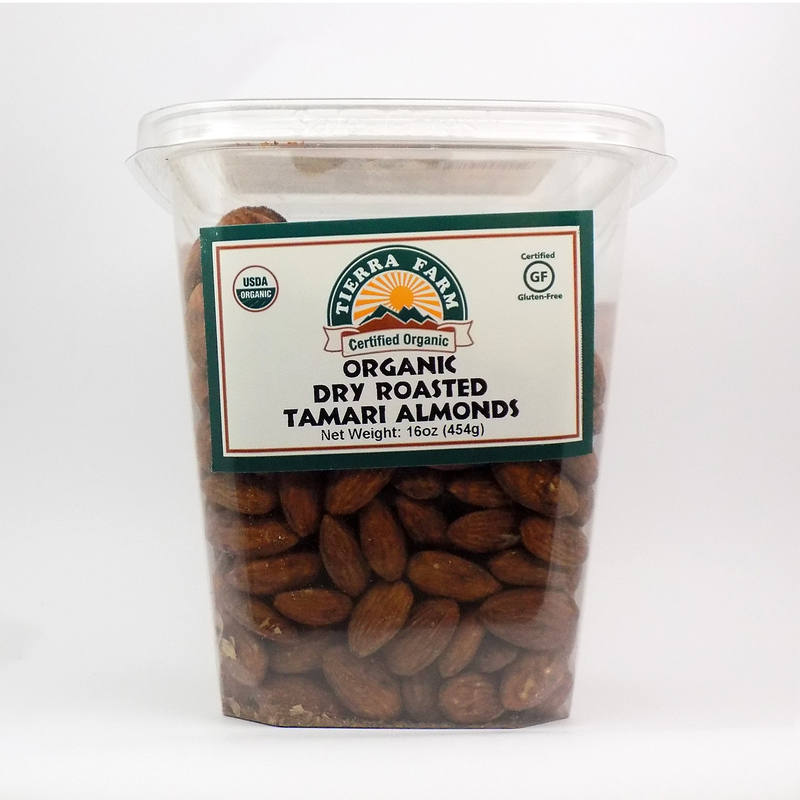 These exquisite nuts have a light crunch and a creamy flavor that your whole family will love. Sunfood Superfoods - Raw Organic Macadamia Nuts . - 8 oz.Supplement FactsServing Size: 1 oz (28g)Servings Per Container: 8Amount Per Serving % Daily Value*Calories204 Calories from Fat178Total Fat Saturated Fat Trans Fat Omega-**** Omega-****CholesterolSodiumTotal Carbohydrate Dietary Fiber SugarsProteinVitamin A Vitamin C Calcium Iron Vitamin B1 Vitamin B6 Magnesium Manganese * Percent Daily Values are based on a 2,000 calorie diet. **** Percent daily value not established.Ingredients: Certified organic raw macadamia nutsPackaged in a gluten-free facility. May contain traces of peanuts. Contains Tree Nuts. Enjoy straight out of the bag, or add to a trail mix or smoothie. Sprinkle on dessert, yogurt or salad, or try blending with water to make macadamia nut milk.Reseal bag and refrigerate after opening. Packaged in a gluten-free facility. May contain traces of peanuts. Contains Tree Nuts.May contain desiccant pack. Do not eat. Sunfood Superfoods - Raw Organic Macadamia Nuts 227 g. - 8 oz. **** Percent daily value not established. Packaged in a gluten-free facility. May contain traces of peanuts. Contains Tree Nuts.